I see how tired you are. I know the weariness you feel. A weariness that is so deep, it settles in your bones and attacks your motivation. It taunts you, whispering every misstep and making accusations. It tries to convince you that you are failing. Miserably. It creates an emotional frenzy in you, causing you to question everything you do for your kids or with your kids, as a mom. It plants seeds of worry about impending doom for your kids or yourself. Your mind takes you crazy places. Maybe picturing your kid in an orange jump suit, declaring that it was your failure as a mom that lead to their demise. Or wondering if your kids will succeed in the same way that you perceive the achievements of others. You grew up thinking of motherhood as this noble task. A dream come true. There were rough roads when you weren't sure you would be a mama. And you realized it was all you wanted to be. When you finally became a mom, it didn't take long before you questioned why you thought this would be so fun? Because while the rewards are indescribable, so are the challenges. The exhausting baby phase. The sleepless nights. The obsessive worry that plagues every last tiny detail of minutia. Why are they crying so much? Is something really wrong--and they are too little to tell you? Why aren't they rolling over like someone else's baby is at this point? What if there are developmental delays you can't see? What if there is some medical issue you can't discern? When will you ever sleep again? Just when you feel you have succeeded and are about ready to pat yourself on the back, the toddler phase begins. Oh, for the love of sanity, why the whining? And the testing? And that smug look of defiance when your toddler touches for that electrical outlet AGAIN? The mobility. That points out the dangers that are all around, lurking at every turn to injure or maim your child. And for a brief nanosecond, you wonder if the baby phase was better? ...You've almost reached the school years. Which means you have to decide the best route to educate your children. Are you capable of home schooling? Is that best? Is public school the right route? Or maybe private school? What to think about someone else enjoying your child for hours each day? Oh, wait. A few hours each day when your child is under the watchful eye of someone else. What might you do with all that time? Is this the season of eating bon bons and a life of leisure? And so it goes. Each new phase brings new rewards. New highlights to enjoy. Fresh discoveries and tiny glimpses of the people your littles are becoming. Along with new challenges and fears and worries and angst. This is where I am. Staring down the last three years of having my oldest in the house. Seeing the end and dreading it. And applauding it. Wondering if I've done enough. How do I prepare these children to make wise decisions, cling to the Jesus we love, stay on the straight and narrow, avoid the pitfalls? My epiphany this morning is that I have a bucket load of insecurities as a mom. I'm going to be totally transparent here today. It is a sore spot that causes me to jump into defense mode quicker than any Olympic sprinter can finish a 100 yard dash. It wears me out and steals my joy. It causes me a million obsessive thoughts about my mothering. I question my every move. 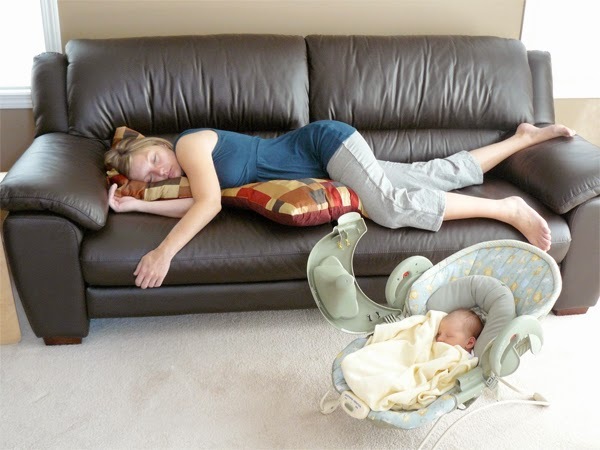 It adds exponentially to the tiredness and fatigue that I think every mother is naturally bent to. Because the most important thing I can do with my life is mother well. So I set up these altars of success where I pour out my sacrifices and hope it is enough. I pray my offerings are acceptable. I wonder endlessly if they are. Yet, here is the truth that no amount of criticism and no approval or opinion of man can ever change. And it's a truth I think all of us tired and weary moms need to hear and embrace. When you look at the children under your care, remember that they are not there by any accident. There was no OOPS on God's part when He entrusted these darlings to you. The very fact that He called you to be their mama means that He gave you a resounding vote of confidence. He gave you the job and it was no mistake. He will equip and empower us for that which He has called us. Because, indeed, He chose us to mother these little ones (or not so little ones) that he placed in our care. And on the worst days of doubt and worry and stress and frenzy, we must cling to this truth. We must allow this truth to set us free from all that whispers of our incompetence. God thought we could handle it. And He intends to be our answer in every valley and within every doubt and during every struggle. He gives us the Holy Spirit to empower us. He gives us His Word to direct and guide us. In our most panicked prayer for our children, we have the echoing voice of the Holy Spirit interceding with groanings too deep for words along with the voice of Jesus Himself who sits next to the Father interceding for us. God has a purpose and a plan for our children. And for us. And He intends for us to embrace our call through His authority that He grants us to complete the task. Every day. Day in and day out. To pour grace on our shortcomings (and our children's)...to fall into His ocean of love for our frantic doubts...and to claim His new mercies for each day of mothering. So tired mama, I thought you might need to listen in on this pep talk that I'm giving myself today. It's exhausting. It's hard work. And it's kingdom work. Each of us is exactly the one for the job assigned to us. Because the God of the Universe is equipping us. He has called us and He wants only our willingness and availability. He will provide what we need--we just need to ask Him. He is the answer for our problem. He is the strength in our weakness. He sees us. He hears us. He loves us. And He applauds us. He promises us this, for every hard place of mothering. He gently leads those who have young (Isaiah 40:11). In Jesus, we have the YES to every dilemma, every doubt, every concern. If the Creator God hand picked us for this job, then we can rest in our calling. Fall on His equipping. And take every doubting thought captive with the freeing truth of His Word. So, let's rally. Let's write these things on our heart. Let's silence the voice of the accuser. Let's embrace the calling God gave us. Let's press on to run our mothering race with endurance. Fixing our eyes on Jesus. Trusting Him to give us all that we need. For one more day.